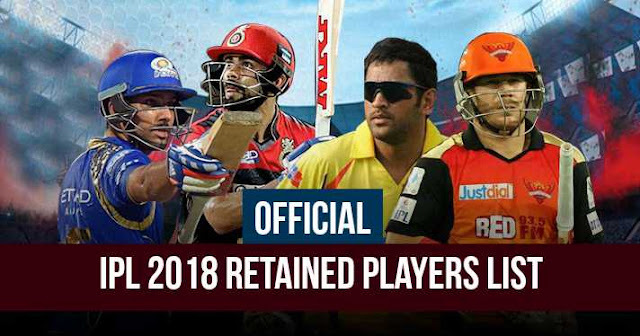 Indian Premier League (IPL) 2018 Player Retention Event was organised today in Mumbai by IPL and the Board of Control for Cricket in India (BCCI). This was the first time IPL Player Retention Event has been organised; earlier this process was done through Emails. Team Franchise would send emails to BCCI about the retained players. It was live telecasted on Star Sports and was live streamed on HotStar. CSK retained MS Dhoni, Suresh Raina and Ravindra Jadeja. Which cost those 33 crores; 15 crores for MS Dhoni, 11 crores for Suresh Raina and 7 crores for Ravindra Jadeja. Total salary cap remaining for CSK is 47 crore with two Right-To-Match (RTM). Delhi Daredevils retained Rishabh Pant, Chris Morris and Shreyas Iyer. Which cost them 22.1crores; 8 crores for Rishabh Pant, 7.1 crores for Chris Morris and 7 crores for Shreyas Iyer. But 33 crore will be deducted from the salary cap and DD had left with 47 crores in their salary cap with 2 RTMs. Kings XI Punjab retained Axar Patel only for 6.5 crores. And KXIP has 67.5 crores remaining in their salary cap; after deducting 12.5 crores for Axar Patel. They also have 3 RTMs. As rumoured, KKR didn’t retain Gautam Gambhir but retained Sunil Narine for 8.5 crores and Andre Russell for 7 crores. As 21 crores are deducted from KKR salary cap and 59 crores are remaining. With 3 RTM. 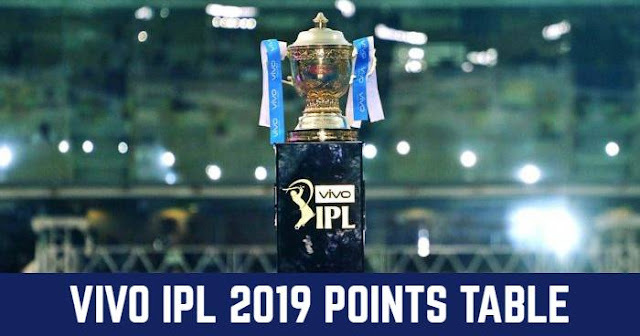 Mumbai Indians retained their skipper Rohit Sharma for 15 crores, all-rounder Hardik Pandya for 11crores and in-form pacer Jasprit Bumrah for 7 cores. Total salary cap remaining for MI is 47 crore with two Right-To-Match (RTMs). Rajasthan Royal only retained Steve Smith for 12.5 crores. And RR has 67.5 crores remaining in their salary cap; after deducting 12.5 crores for Axar Patel. They also have 3 RTMs. RCB went on to retain Indian skipper Virat Kohli for 17 crore, which is the highest retention price of the IPL. RCB also retained South African batsman AB de Villiers for 12.5 crores and uncapped Sarfaraz for 1.5 crores. RCH has 49 crore salary cap reaming with 2 RTMs. Sunrisers Hyderabad retained David Warner for 12.5 crores and Bhuvneshwar Kumar for 8.5 crores. SRH has 59 crores remaining in their salary cap with three RTMs.